I am on the Arrow bandwagon. I love them. They are simple, add shape and movement and are super easy to make! Chevron patterns are a close second in my book. It’s a classic case of the chicken and the egg. 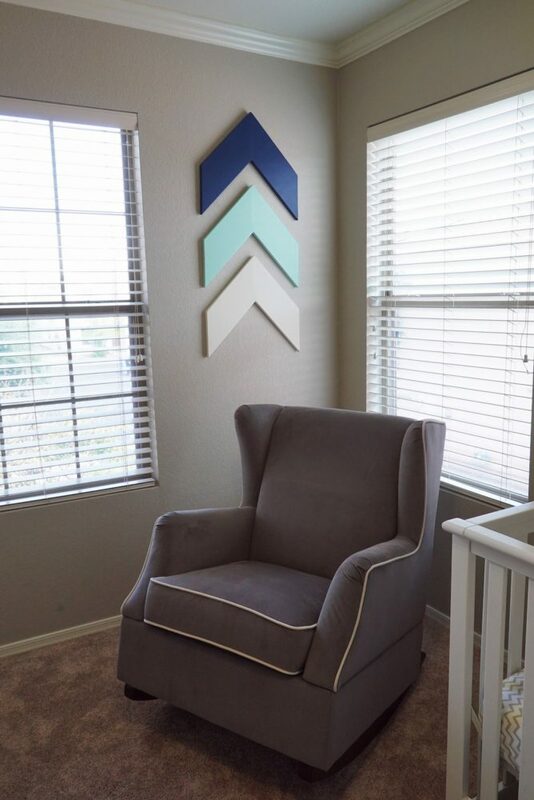 What came first, the arrows or the chevron decor ideas? To some, the chevron is the end of the arrow, to others it’s the tip. Quite frankly, it doesn’t really matter because we love them both and it’s no surprise they have taken the home décor world by storm. 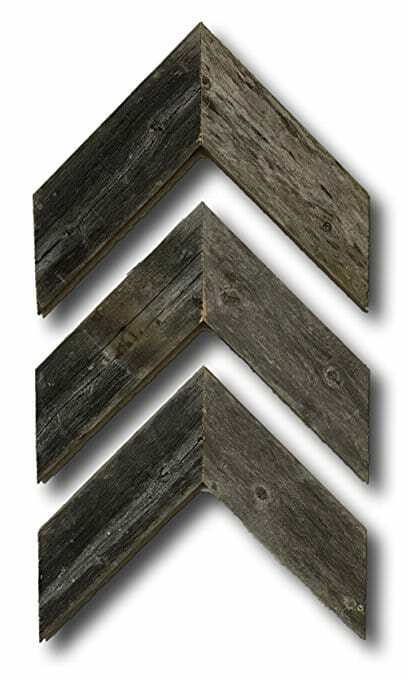 Arrows are quintessential rustic décor for farmhouse or shabby chic décor style. They surpass all seasons and holidays, which makes them the perfect addition to any shelf, gallery wall, nursery, bedroom, or hallway. We’ve got plenty of ideas for you to incorporate these super trendy looks in your home quickly and easily. 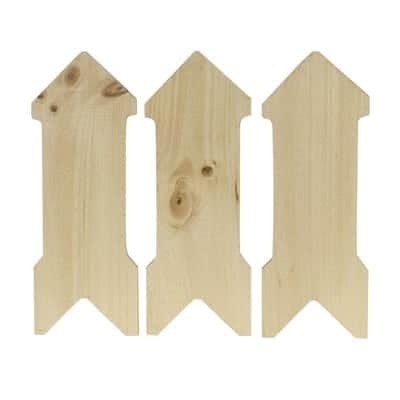 Wooden arrows or chevrons are popular and easy to make yourself. 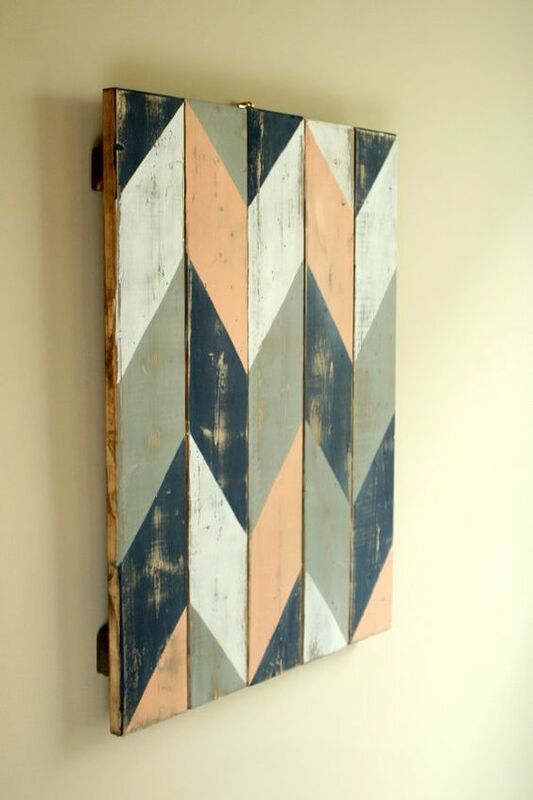 With a little wood, glue, and paint, you can create any size, shape, and color to match your décor. Typically they are in groups of three, but you get to be the boss and do it your way. 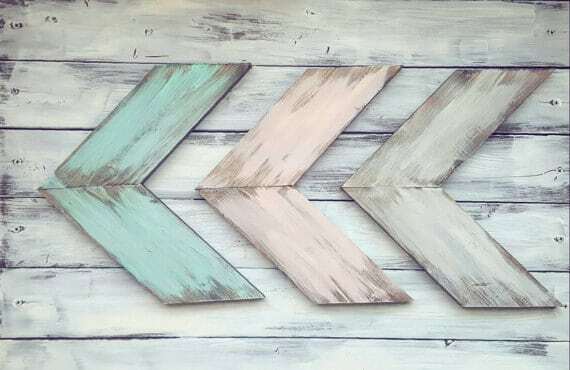 If you’re worried about creating your own arrows or chevrons, you can find premade options with either smooth ready-to-paint wood, or a more rustic barnwood option. For the DIYer simply cut 2×4’s at a 45 degree angle and nail them together. 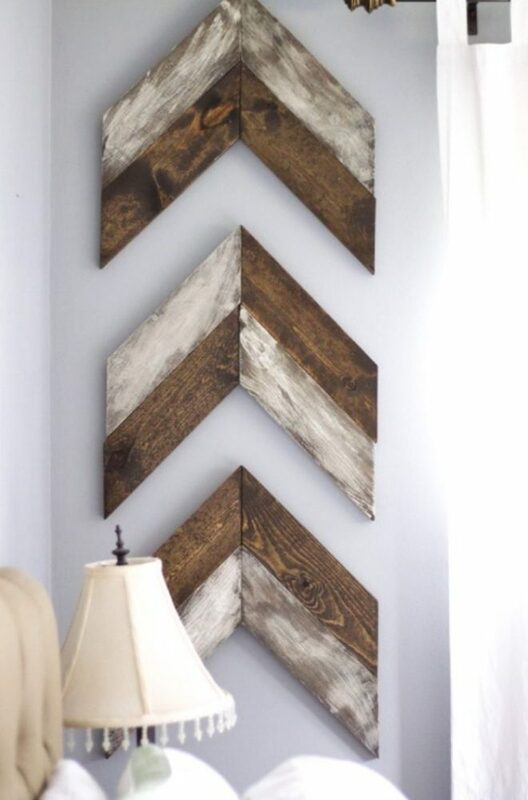 Chevron patterns and rustic arrows can be incorporated throughout your home in other ways too. Use the timeless pattern for beautiful furniture décor, collect several styles and colors for a shabby chic wall art, or use a negative space style to create a unique piece of art. 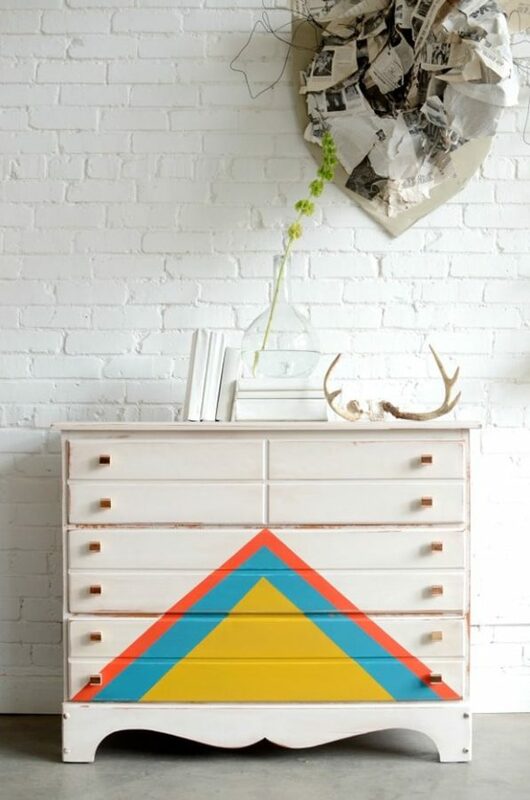 Followthecolours.com brilliantly used a dresser for a canvas to add art to a otherwise ordinary piece of furniture. 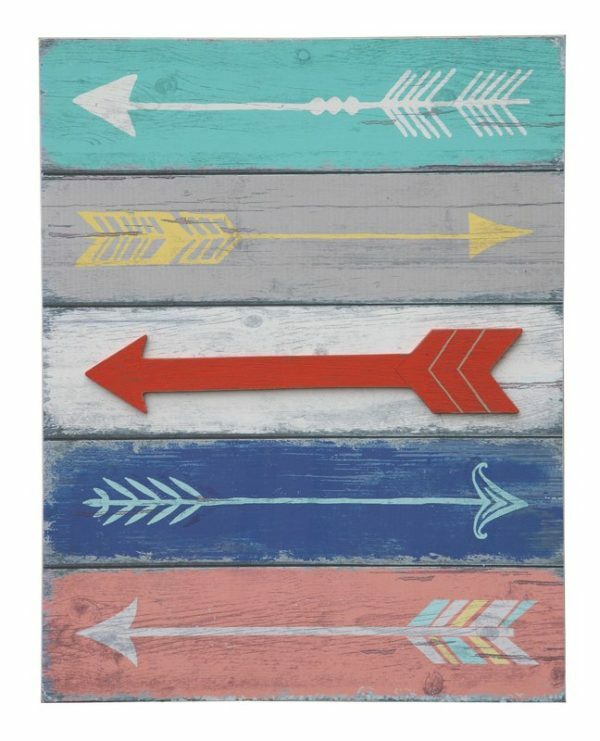 Using multiple styles and shapes of arrows also makes a simple yet beautiful art piece for your home. Nathaliechikhi.com used paint to draw on her arrows, but vinyl and even iron on images would work. I love her bold red arrow in the middle that is 3D. Along with arrows, we need to give a hand to the chevron pattern. 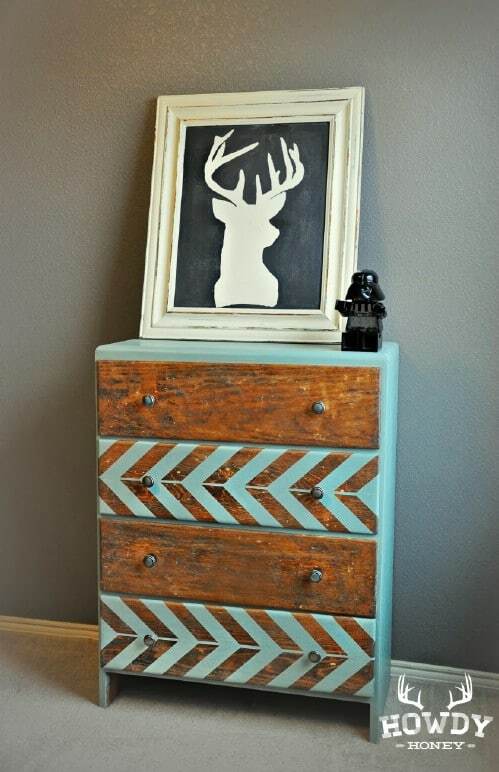 Chevrons simplicity works with all sorts of home decor from rustic, to modern. 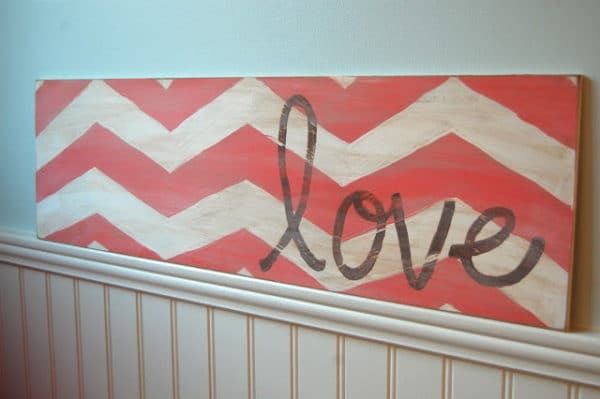 I hope this post has inspired you to grab some painters tape and try your hand at different arrows and chevron decor ideas for home. If you have any questions or ideas you want to share, please comment. I love to hear from my readers!